I’m just about finished with my daughter’s new princess themed bedroom. 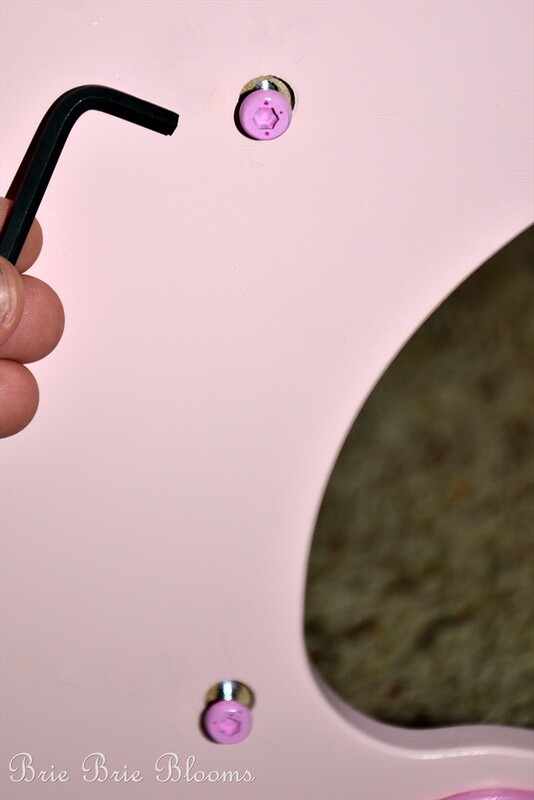 I’m very excited to show you the entire room but before you get the grand tour I will be sharing a few more princess upgrades and tutorials. 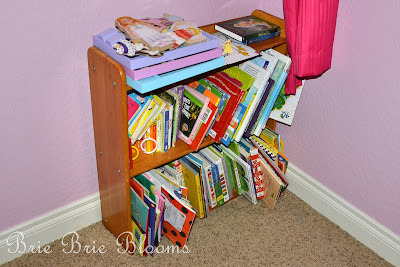 Today I’m sharing the pretty new bookcase holding my daughter’s favorite books. 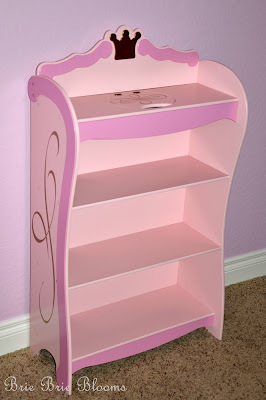 Prior to the upgrade my daughter had a very small shelf that didn’t match her room. I actually picked that up from the side of the road on bulk trash day last year. Surprisingly it was in great condition and just needed a good dusting (of course I scrubbed down the shelf I found on the side of the room before putting it in my little girl’s bedroom!). 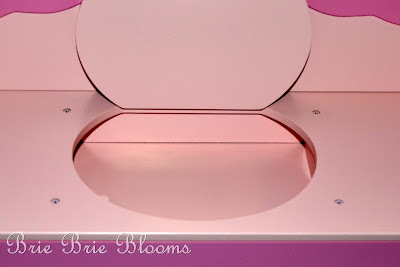 We were left with our roadside shelf shoved in a corner of our new princess bedroom until I was contacted by Modern Furniture Warehouse and asked to visit their online showroom. I was instantly drawn to the beautiful (and incredibly low priced) couches. After deciding where I would put all this new furniture I planned to purchase while living in my own little la la land, I went back into rational mom mode and remembered the roadside shelf sitting in my daughter’s bedroom. I browsed the kids furniture section and found the perfect Princess Bookcase for my daughter’s princess bedroom. A few days later the bookcase arrived at my doorstep. Really, it only took a few days. The processing and shipping was incredibly fast! 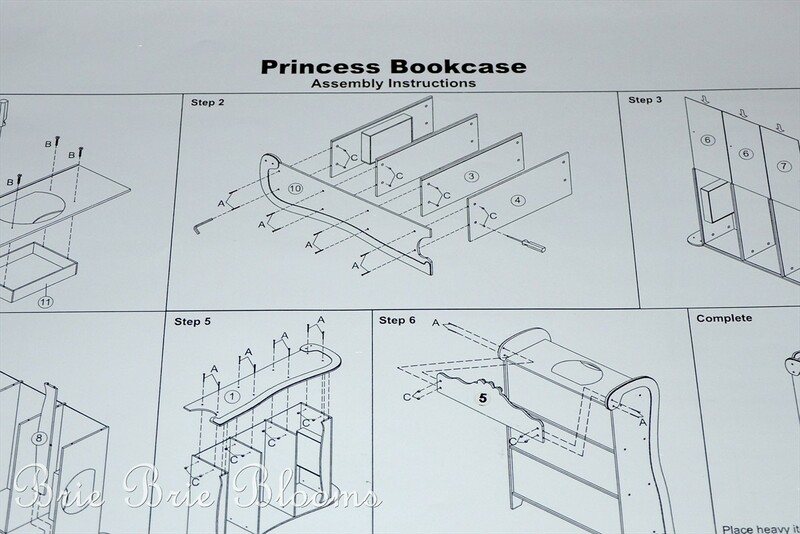 I consider myself quite handy but my husband usually assembles anything with instructions. I didn’t tell him I was opening the box because I was determined to put the bookcase together myself. 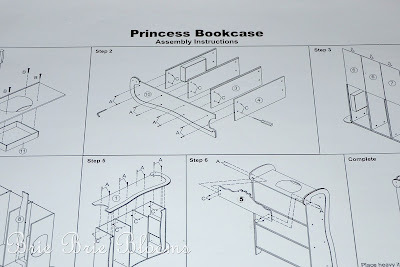 After looking over the instructions I felt comfortable with the assembly on my own. I spent just half an hour with very few tools following the extremely easy instructions. My favorite feature is the hidden storage on the top shelf. 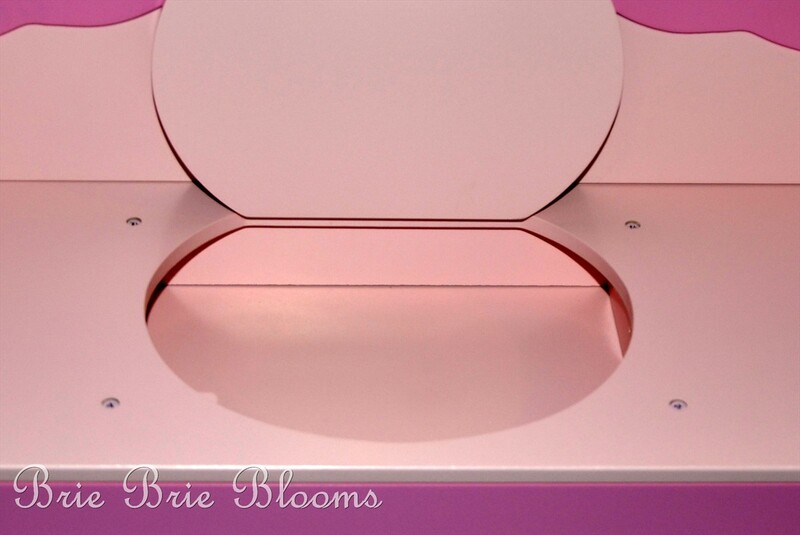 I had fun imagining all the little treasures my daughter would store in the space. I moved her favorite books from our roadside shelf over to the new bookcase. Everything fit perfectly and I was able to put a lamp on the top shelf with out covering the secret storage. Prior to this experience, I would have never considered purchasing furniture online with out first seeing the product in a store. Modern Furniture Warehouse completely changed my mind and I will definitely be shopping with them again. Perhaps someday I really will get that new couch! The website is extremely easy to navigate and there are so many fun products for kids! Processing and shipping was incredibly fast. As a frugal mommy, I love the low prices! The assembly instructions were easy and I was able to put the entire piece of furniture together on my own. 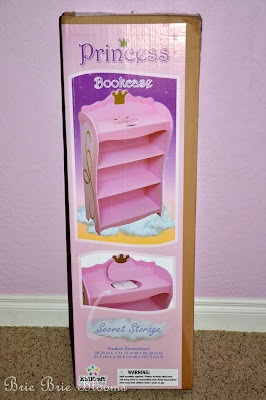 My daughter loves her new bookcase! You can find all the great furniture and products at the Modern Furniture Warehouse website. You can stay up to date on their sales and new items on their facebook page or on twitter. Don’t forget to check out their amazing Pinterest boards! I received product in exchange for this review but all opinions are my own. 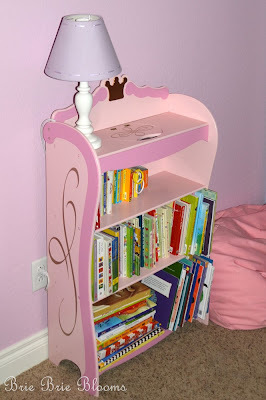 I want to have a bookshelf like this, very beautiful for my daughter. 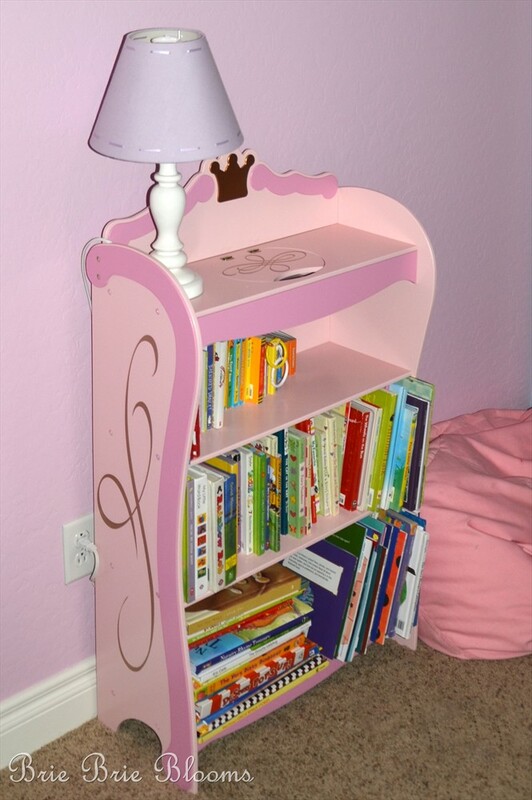 Nice and elegant bookshelf. Thank you for posting.